Through our participation in the Child and Adult Care Food Program (CACFP), we serve USDA-approved meals and snacks to all of our children at no additional charge. Nutrition experts select foods and plan menus that will not only meet your child's nutritional needs, but also encourage children to try new foods and make healthy choices. 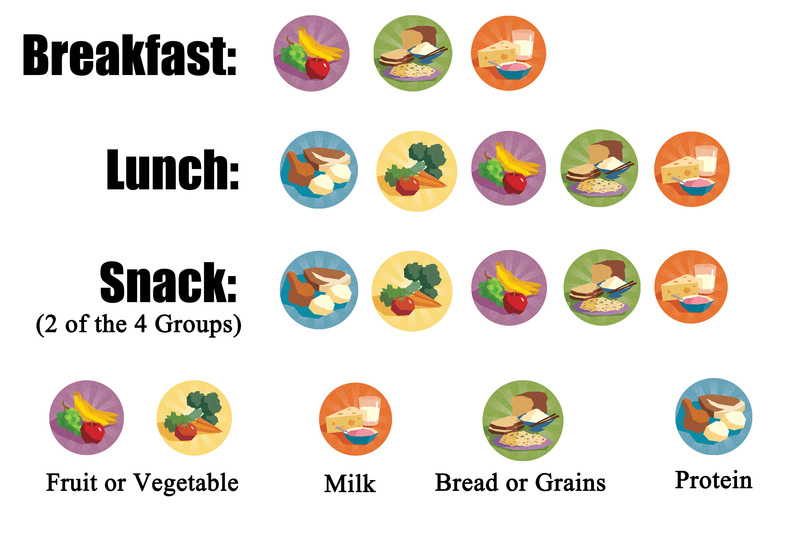 Our posted menu listing breakfast, lunch, and afternoon snack choices for a well balanced diet all week long. The allergy notice posted on the parent board, one of many procedures in place to ensure your child is safe, secure, and well-loved while he is here. A schedule which shows that snacks and meals are served frequently to ensure that children are well-nourished while they are with us, and ample time thoughout the day for play, outdoor activities, rest time, creative art, science experiments, and more. 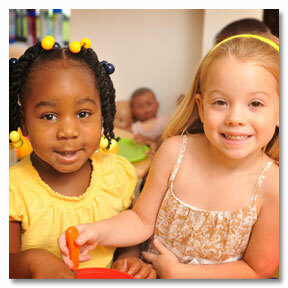 Childcare Network follows meal requirements established by USDA.